Black Widow isn't afraid of a little hard work! Just look at her track record from the Avengers movies. She's been on secret spy missions. She's fought against aliens. She's defeated up plenty of robots during that Ultron incident. She's helped Captain America train a new crew of Avengers. She didn't even back down when Thanos' army showed up on her doorstep! Whenever a tough situation hits, she just puts her gloves on an gets to work! Well, now your child can face the villains like Nat when she puts on these Black Widow child gloves! 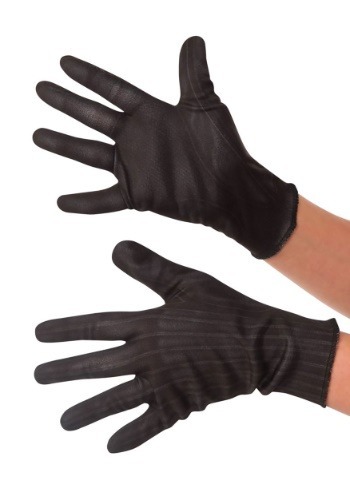 These officially licensed gloves come from the Marvel Cinematic Universe! They're designed to look like the ones worn by Black Widow in the Infinity War movies. They stretch to fit and feature printed details on the front and back. Pair them up with any of our Black Widow costumes for kids to turn your child into the classic Avengers character. Your girl will be ready to put her gloves on for some real superhero work when she wears these Black Widow gloves! Who knows? Maybe the Avengers will even call on her for the next mission.